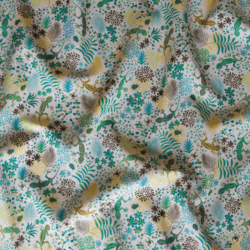 Maybe it's the novelty of having a theme based on small prints for the first time, but the batch of fabrics coming out of the ditsy print contest this week has already made it one of my favorites. The winner turns out to be Virginie Ozanon, a young artist from Lyon, France, who goes by the moniker demigoutte on our site. Congratulations, Virginie, on your first win! 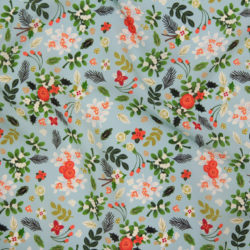 Ditsy was really anyone’s win…more small prints please: ditsy or not!